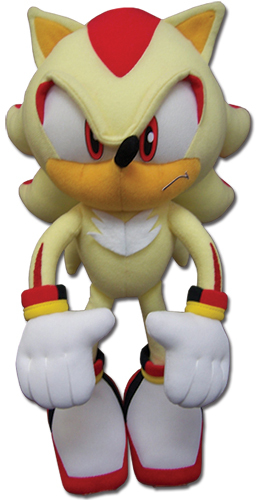 This is a bit of sad news if you’ve been collecting the character plush toys that GE Animation have been putting out; they have confirmed that as of April 2017 they will no longer have the Sonic licence, therefore they will not be producing any new plushes. 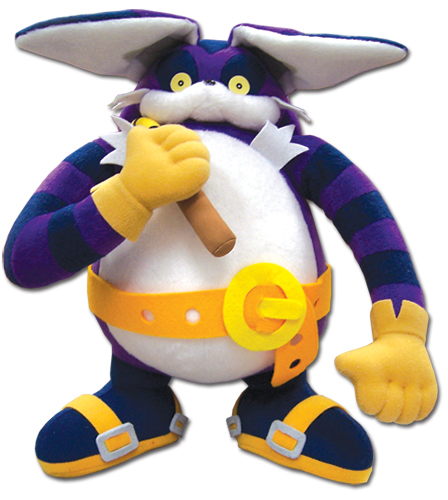 Looks like there’s another character about to join G.E. 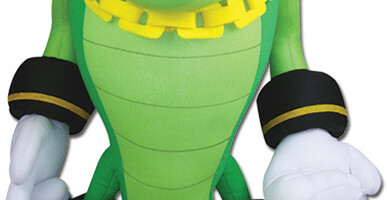 Entertainment’s plethora of character plushes, as Charmy Bee is quietly revealed to the public for release soon. 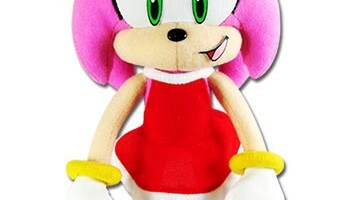 GE Entertainment continues to make our wallets hurt, this time it’s Amy’s turn to get released. No pricing details provided, because you can’t buy direct from them, have to rely on suppliers. Also oddly, no size measurements were provided this time. 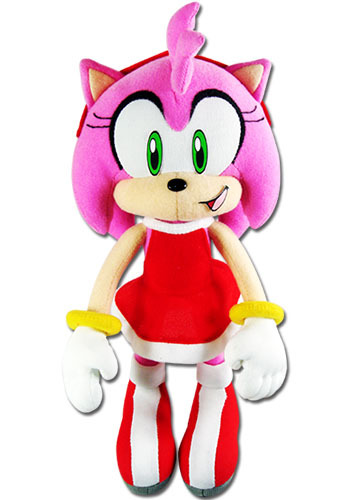 Not the first time Amy has had a modern plush, but this is certainly the most happy she’s looked. As always, only Ebay & Amazon sellers will stock these. It’s not even been a month! GE Entertainment contnues to make our wallets hurt, this time it’s Vectors turn to get the reveal. 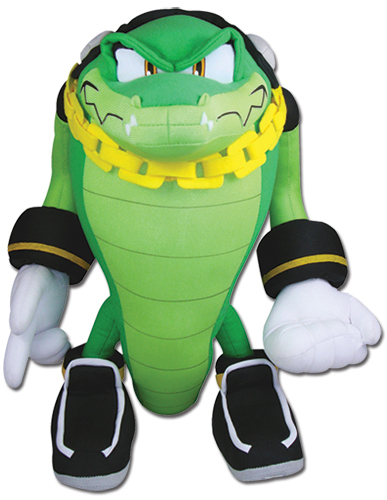 As with many of their plushes, this is the first time that Vector has ever been in a plush form (officially). Edit: You know, these things are so regular I’m half tempted to just write a template and fill in the missing details when a new one is announced/revealed. Well there’s no stopping GE Entertainment is there? 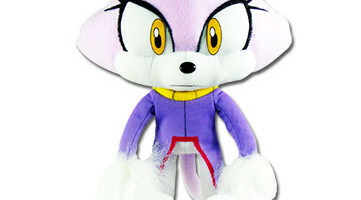 Barely a few months since Big & Espio came out, now it looks like Blaze is going to be heading our way very soon. 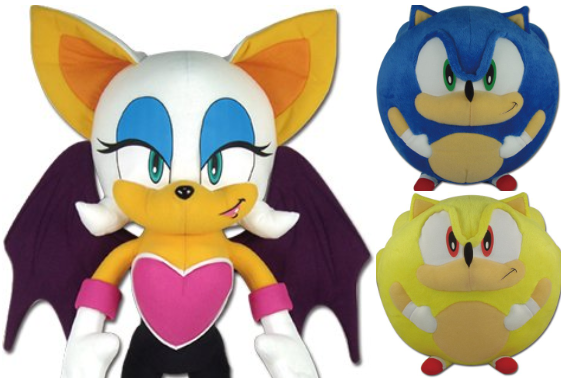 No details on pricing yet, but size wise, it’s slightly taller than their Rouge plush and a bit smaller than the recently released Espio plush. Exact release date hasn’t been announced, but the fact it’s on their website suggests it’s on the way. 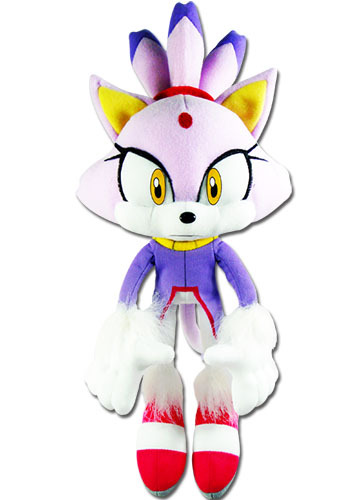 Incidentally, this is the first time that Blaze has ever been in a plush form (officially).